I ate there a lot of times when made a break after sightseeing. Problem is that there isn't any explanation about what is inside of those salads and it's like 1% of chance that the worker is speaking English. 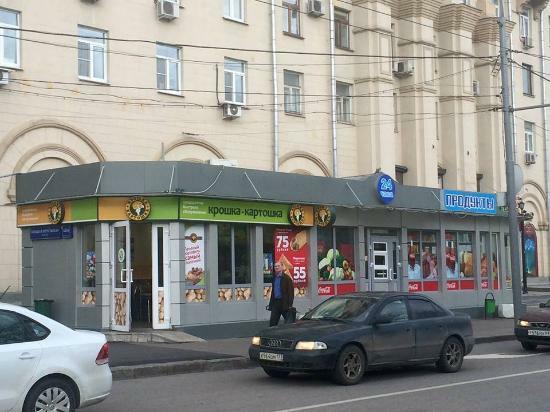 Been here for a quick meal at lunch, their specialty is a baked potato, filled with cheese, onion, and whatever Russian salad you want. Dirty cheap, and ideal for keeping you going in the afternoon. 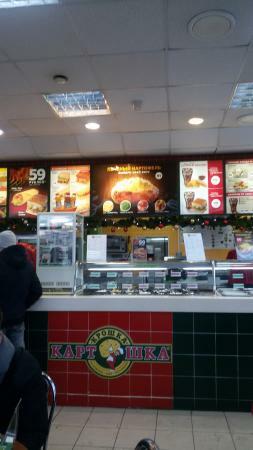 Is a typical fast food place, maybe a bit more interesting with it's potato dish- kroshka kartoshka. You will find these all over Moscow. They make for a great quick meal that doesn't overfill you. 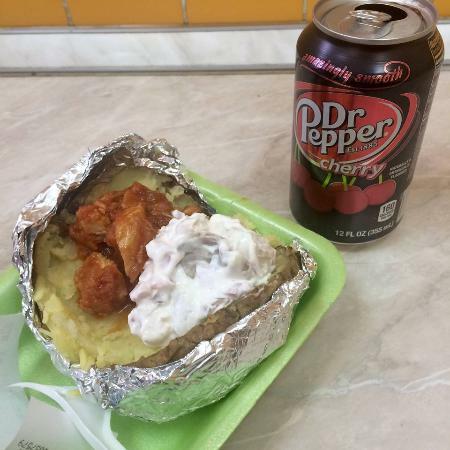 You get a standard baked potato and you can add a scoop of different sides. Everything from salads to hot dogs in mustard sauce. 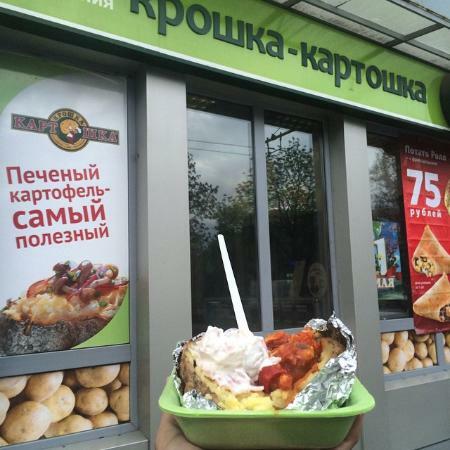 Potato baked in foil, mixed with butter and cheese, and can choose mostly mayonase based salads on top. A portion enough as a main course for reasonable price. These small outlets are a great place to pick up a quick snack all over the city. No matter the time of day or night! Get quick answers from Kroshka Kartoshka staff and past visitors.